On the 25th June 1967, the Beatles performed “All You Need Is Love”. This was at the closing of the first live, world-wide satellite television programme, “Our World”. The broadcast would be a live feed from Abbey Road itself, the sound studio becoming a t.v. studio for the day. 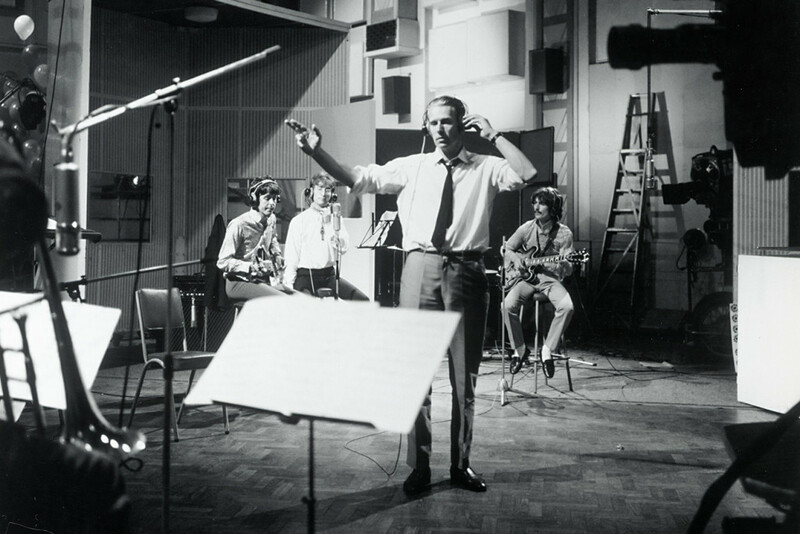 With all the preparation and changes for filming and recording of All You Need Is Love live from the Abbey Road Studio, it’s been extremely difficult to tell what was used when and where. Because the photos were so unclear, nobody’s been able to say whether the amp seen used by Paul in the build-up was a 430 or a 730; we can now say for sure that this was a 430 after all, at least in these rehearsals leading up to the final performance. (The 730 seems to have been used for rehearsals on earlier dates leading up to this). The 430 was also seen sitting on a cab in some Fool on the Hill sessions, that time with a casino leaning against it. In another session though, seemingly an overdub for ‘With a little help from my Friends’, Paul looks to have used the same cabinet without a trolley, but with 730 head sitting on a chair nearby. In most of the All-You-Need-Is-Love pics the amp is obscured, but we can finally see from the photos below that (in these rehearsals at least) it is in fact clearly the 430. 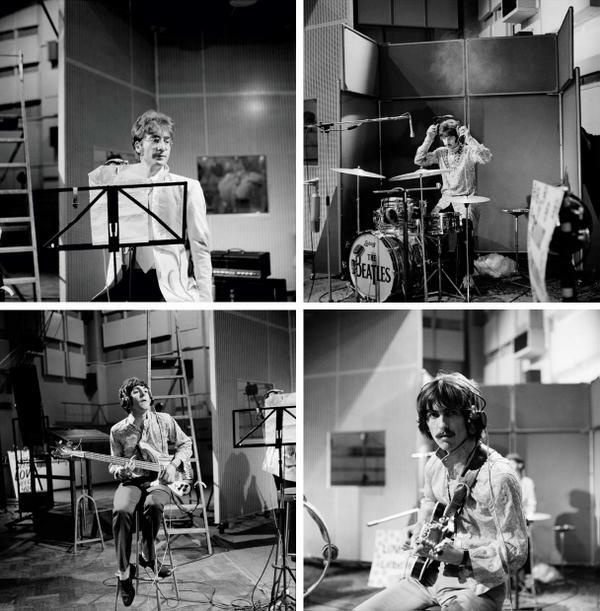 They seem to have rehearsed/recorded back-up/backing tracks on the day of the performance, even as the large multi-lingual ‘love is all you need’ boards were being brought in and left around the studio (seen leaning against the amp/cab in some pics). Some of this presumably can be heard being played back in the studio in the lead-in to the final performance. The respected Ryan/Kehew “Recording the Beatles” book gives some good details on the mixing of the tracks. It states that some of the original double-bass from the first recordings (at Olympic Studios) made it to one track, but buried in a mix with drums, violin, harpsichord, piano, banjo and percussion – and seemingly some backing vocals. It says that track 2 of the final mix had an overdub of bass, drums and guitar; track 3 was the orchestra, and track 4 the vocals. This raised the question though of what second amp (if any) Paul & George were using? 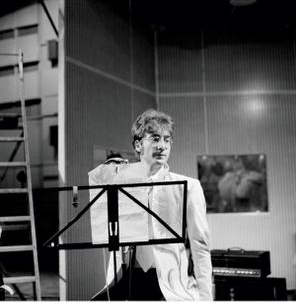 Paul seems to have used the 430 for the rehearsals/recording leading up to final performance, while George used an out-of-picture conqueror/cab. For the final performance, we see the conqueror head, but now on top of the cab Paul had used with the 430; the studio is full of people and set-dressing like foliage etc. The 430 head had been taken off the cab, but where did it go? There is a small metal box visible in some shots by the amp; did Paul have some sort of d.i. (direct injection) set-up? 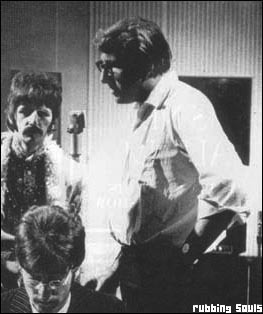 “I think direct injection was probably used on Beatles sessions for the first time anywhere in the world,” Ken Townsend, an engineer in the technical department at Abbey Road, said in Mark Lewisohn’s ‘The Beatles Recording Sessions: The Official Abbey Road Studio Session Notes, 1962 – 1970.’ “..We built our own transformer boxes [called DIT boxes] and plugged the guitars straight into the equipment.” It’s unclear how much if any of the 430 made it through to the final pressed recording, it seems even the Abbey Road records aren’t 100% reliable – but it certainly played its part in the lead up. 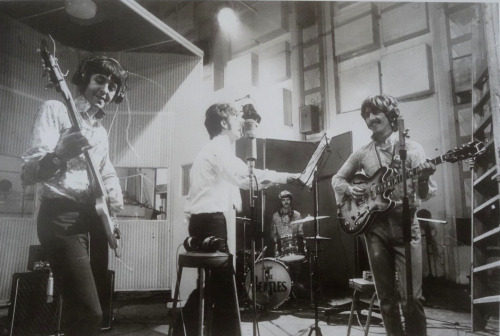 Recording the Beatles mentions later use of d.i. 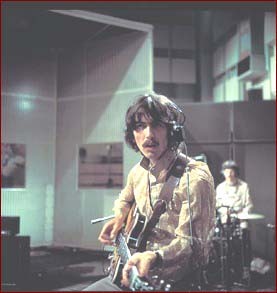 during the White Album; ‘…many tracks on the White album have a distinctly different bass sound…Ken Scott..chose to supplement bass mic with D I…two signals treated to sound different..one warm, round.. smooth full low end, the other more percussive, biting… more mids…”. The d.i. would appear in this case to have been added to the miked amp sound. With the microphones (one over the 430’s cab) and headphones, this could be an attempt at recording a backing track with the orchestra.